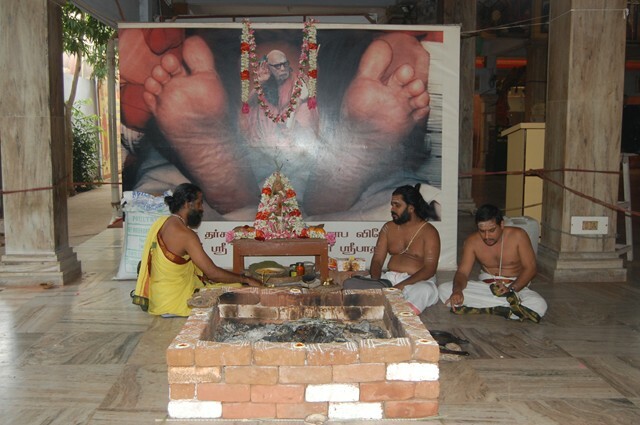 As part of the 77th Jayanthi Celebrations of His Holiness Pujyasri Jayendra Saraswathi Shankaracharya Swamiji, Atirudram, Rigveda Samhita Homam and Kamyartha Homam(Havan) are being held at Shrimatham, Kanchipuram. 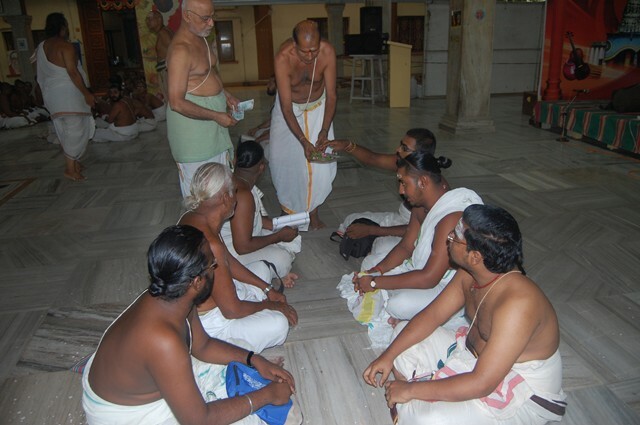 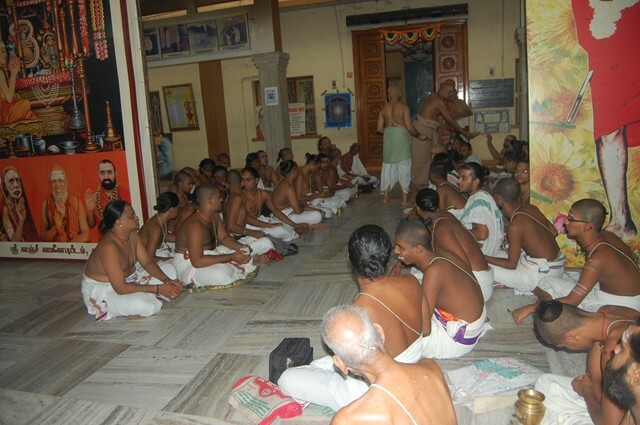 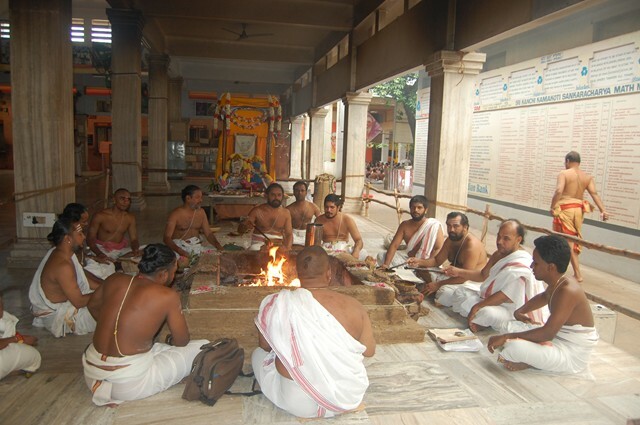 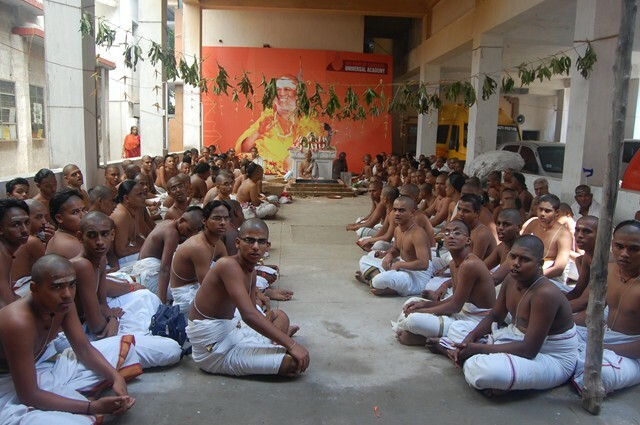 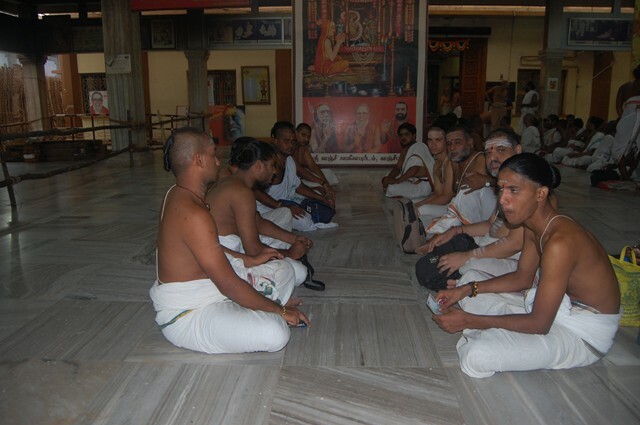 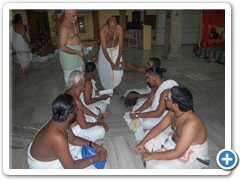 Vedic pandits and students from Shri Kanchi Kamakoti Peetham's Veda Pathashalas from various places are performing the Havans. 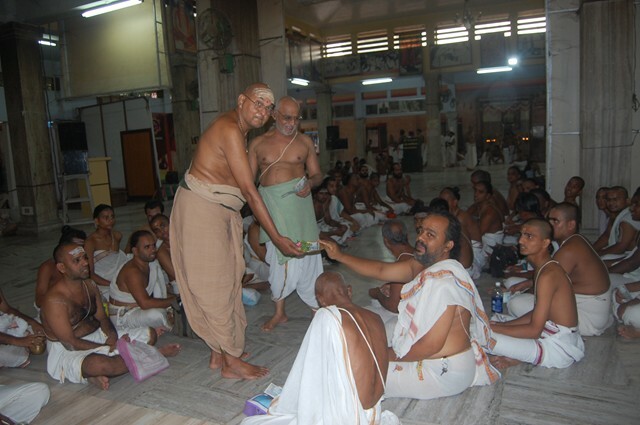 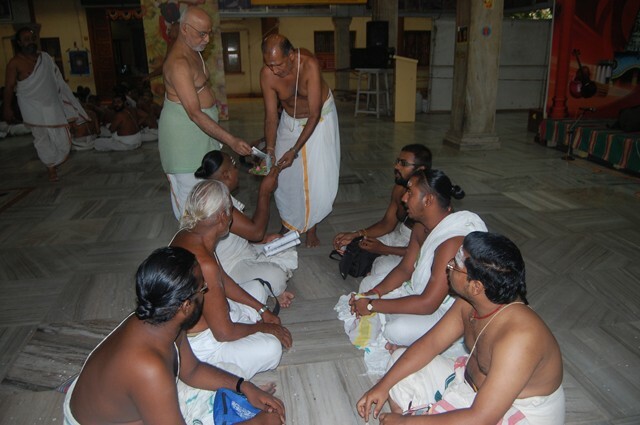 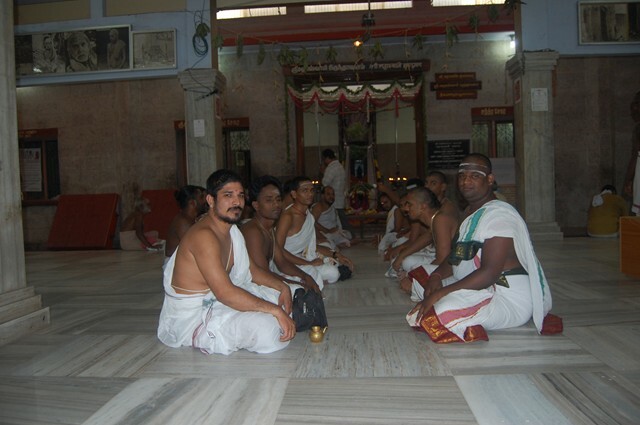 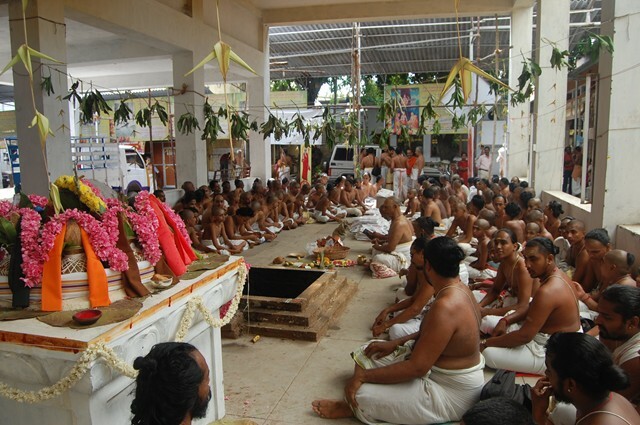 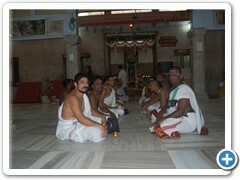 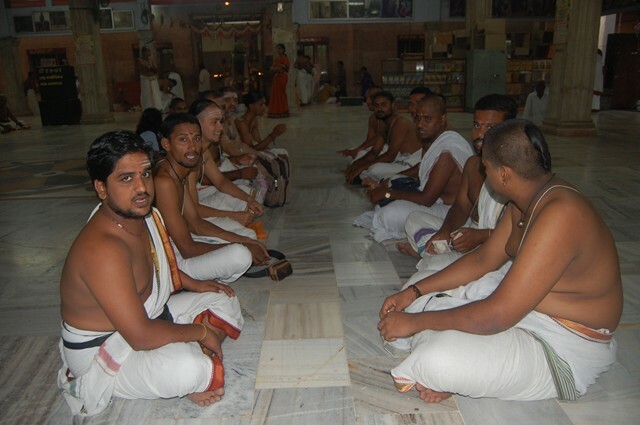 The programme commenced on the 16th of August 2011 with Ganapathi Pooja. 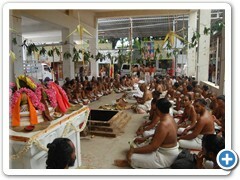 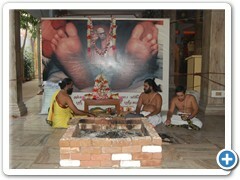 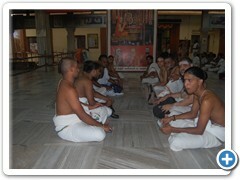 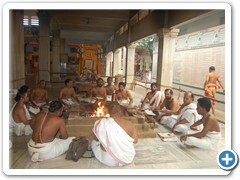 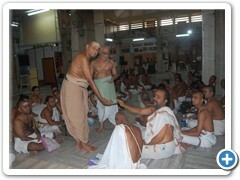 Poornahuti will take place on the 26th August 2011. 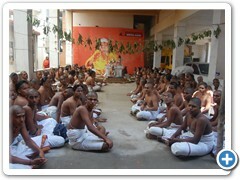 "Vedo nityam adhiyatam taduditam karma svanusthiyatam"
Chant the vedas every day. 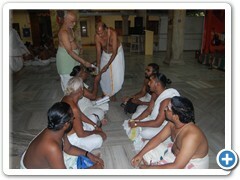 Perform with care the sacrifices and other rites they enjoin upon you.